It is difficult to think of any role in public service that is as rewarding as that of a park and recreation director. What could be more satisfying than promoting natural resources, helping citizens connect with nature, teaching children the confidence that comes with new skills and helping to improve population-level wellness through the exploration of local parks, lakes and trails? A career that enables — and even requires — time spent outdoors and allows those passionate about nature to share that love with others, from children to seniors, may be the best form of public service. The role of the municipal park and recreation director is changing, however, and not solely because of deforestation or climate change or even conservation efforts. It is changing because of a factor that some may argue is the antithesis of the great outdoors: digital tech. You may think that the impetus of technology impacting park and recreation departments involves the amount of time young people, and even adults, now spend on internet-enabled devices. The reality, however, is that park and rec director roles have changed not because of a conflict of tech and public parks, but because of their alignment. Managing a mountain of paperwork, including instructor applications, participant waivers, grant applications, ADA-compliance forms, attendee lists, schedules, permits and other critical administrative documents. Thanks to the latest advancements in digital technology, many of these administrative tasks that used to take hours of manual labor have been streamlined and/or automated, providing directors with more time for strategic and long-term planning. Digitally tethered citizens expect device-agnostic capabilities to research upcoming events, register for classes and pay online for sports league participation from their mobile phone. It means park and recreation directors need to know just as much about software stack integration as they do about golf course grass irrigation or hydraulic lawn mower specs — maybe even more so. This digital transformation of government marks a paradigm shift in responsibilities and in the very essence of the rec director role itself. Today’s park and recreation leaders are embracing roles beyond traditional facility management and activity execution. They are expected to be agents of change in the era of digital transformation and be as adept at leading the implementation and management of digital systems as they are knowledgeable about local parks and trail maintenance. Park and rec directors also have more visibility into program utilization statistics than ever before, which means they are expected to be able to evaluate and measure the effectiveness of core programs and services and use data to make informed decisions regarding programing and facility budget allocations. New expectations for park and rec directors are not only coming from within municipalities. Citizens are raising the bar on their expectations as well. 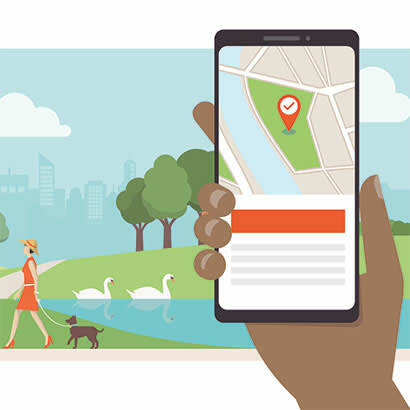 In an era of smartphones and digital proliferation, citizens want multichannel, digital two-way communications with their municipal leaders to ask questions, make requests and provide feedback. Over the next five years, park and rec directors who embrace the access that modern tech provides between municipalities and the people they serve will be best positioned to build successful, future-proofed strategies for innovative and desirable community offerings. Proactively establish a digital transformation strategy for your park and rec department. Be sure to keep the lines of communication open between your staff and community members to understand the level of digital access and engagement they expect, want and need. If you haven’t already done so, build a multiyear strategic plan to elevate systems and solutions to meet those needs, factoring in staffing, budget and other compounding considerations. Learn to anticipate the needs of the community. In a column, titled “Let Your Digital Strategy Emerge,” in the MIT Sloan Management Review, Jeanne Ross, principal research scientist for MIT’s Center for Information Systems Research, says, “Digital strategies must tackle two questions that are shrouded in uncertainty: What can data and digital technologies do to help us solve customer problems? What solutions will customers find valuable?” By collecting data about your community and drilling down into it to truly understand the wants and needs, you can begin to anticipate the solutions it’ll find valuable. The NRPA Facility Market Reports are a great tool for gaining insight into your community. Seek out educational opportunities. Make time to seek out the education you need to stay ahead of the rapidly changing leadership skills and technological trends. Evolution requires training and knowledge, and any public leader at any point in his or her career should feel validated in acknowledging the need for better understanding. NRPA provides several leadership training opportunities to help in this area. Choose solutions that streamline workflows and enable citizen engagement. Embrace parks and rec management systems that allow administrators to spend less time managing program details, such as waiver forms, payment processing and course catalog production, and more time creating innovative initiatives that encourage all generations to take advantage of their local park and rec offerings. If your tech isn’t making your administrative processes easier, investigate other marketplace solution alternatives. A system replacement in the short term will enable greater success in the long term. Accept the role of change manager. Not only will you be expected to lead the department’s digital transformation, it will be critical that you help all staff in all departments understand the value of new systems and processes and embrace opportunities to learn new skills and modify workflows. Don’t forget digital communication. Communication is key, so use the range of communication channels — email, social media, your website — and have a cohesive plan for reaching out to your community and receiving feedback. Brian Stapleton is a Solution Architect for CivicRec®.